Take your team to sunny Spain! Spain has so much to offer for a team tour. The weather is beautiful, the facilities are exceptional and the beach is always nearby! With fantastic options including Barcelona, Salou, Mallorca and Malaga your team will have a great warm weather tour in Spain. Design your tour to get results for your team; an intensive warm weather training tour, a mini Spanish Rugby Festival, Mallorca 15’s, or a relaxing fun filled tour are all possible with a tour to Spain. Cambrils Park, Sports Resort is ideal for clubs and schools looking for an adventure packed rugby tour. Cambrils Park is a top of the range sports complex, with its own 4G rugby pitch; gym; sports area; analysis suites; and outdoor pools. Located just 5 minutes from the beach, 10 minutes from Port Aventura and 1 hour 15 minutes from Barcelona, Cambrils Park is one of the most popular rugby tour destinations for 2019. Mallorca is a rugby destination that is sparking a lot of interest. It is another of Spain’s warm weather destinations that has sunshine 300 days of the year. There are 3 rugby pitches which are located in close proximity to your accommodation. Training facilities and accommodation are excellent. 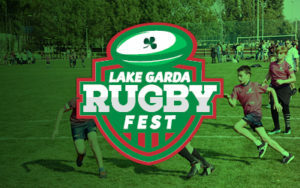 Add in a bit of beach rugby, team building afternoon, training camp or rugby fixture against local opposition and you’ve got an action rugby packed tour! The Malaga tour is designed for 2nd year teams right through to JCT & SCT teams who are looking for an intense rugby training camp. Add in a team building trip on the slopes of Sierra Nevada, this rugby tour could be a warm weather training camp or take you from playa to piste, for a full day boot camp experience (3,479m above sea level) during your 4 day trip. It includes morning and afternoon training sessions in the Manuel Becerra Rugby 4G rugby field, and use of gym at the sports complex. Cambrils Park, Salou offers excellent facilities for sports teams from all across Europe. 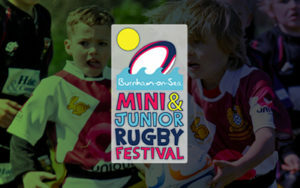 It is the perfect location for rugby teams to have a healthy mix of rugby and relaxation with plenty of activities to choose from. Mallorca is one of the best destinations in Spain for rugby teams to tour with tournaments being held in April and October/November. The Easter tournament in April is perfect for JCT & SCT teams as a pre-cup training camp. 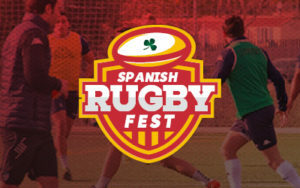 The Mallorca 15’s Easter Rugby Tournament runs on 19/20th April 2019 for U16-U19 teams and in October/November for U15-U18 teams. Malaga offers a fantastic mix of warm weather & recovery with the pistes of Sierra Nevada providing a polar opposite of the beaches of Malaga. There are also lots of activities available for bonding sessions away from the pitches! Enjoy warm weather training with your team in Spain. Training facilities will be available every day plus a fixture against a local team can be organised to allow your team to maximise their time on tour. Accommodation to suit all budgets including hotel, hostel and apartments.